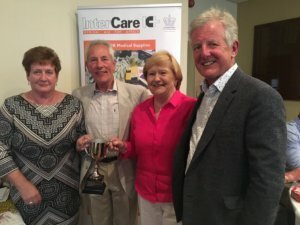 Inter Care Golf Day Raised £1,925! A huge thank you to all 10 teams who supported our Golf Day this year! 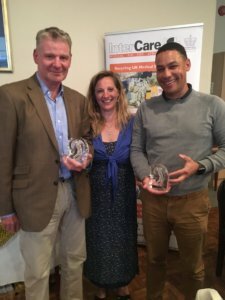 On Friday 11th May, Inter Care held our 10th Annual Golf Day at Cosby Golf Club. – Mulberry Square for sponsoring our Golf trophies. – Whetstone pastures, ABR-Insurance and Stor-a-File for their support with hole sponsorship. – Walkers Crisps and Swithland Spring Water for their generous donation of crisps and water for all golfers. Congratulations to winning team ‘The 4 M’s’ with a score of 82! Also to David Coulson and Lorne Smith winning Nearest the Pin and Longest Drive. The day was a huge success raising £1,925!